“Lean” has been the thing of business startups ever since Eric Ries introduced the movement in his BookLean Startup. According to Eric Ries, the Lean Startup provides a scientific approach to creating and managing startups and gets their desired product to customers’ hands faster. Pretty impressive right? In this article, I am showing you how you can apply it to blogging which I call “lean blogging”. Lean startup Eliminates Uncertainly. It veers away from the “just do it” approach. Starting a business is entering into a world full of uncertainty. Lean startup helps by establishing a process, a methodology. 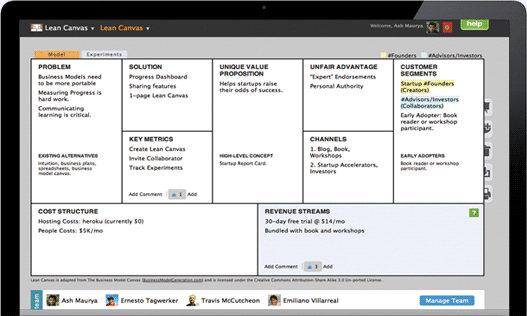 Lean Startup focuses on customer discovery. According to Ash Maurya, the author of Running Lean and founder of spark 59, the goal of any business is to make its customers happy. It’s not about the offerings; it’s about making solutions to their problems through the business and its offerings. Customers don’t care about your solution, customers care about their problems. 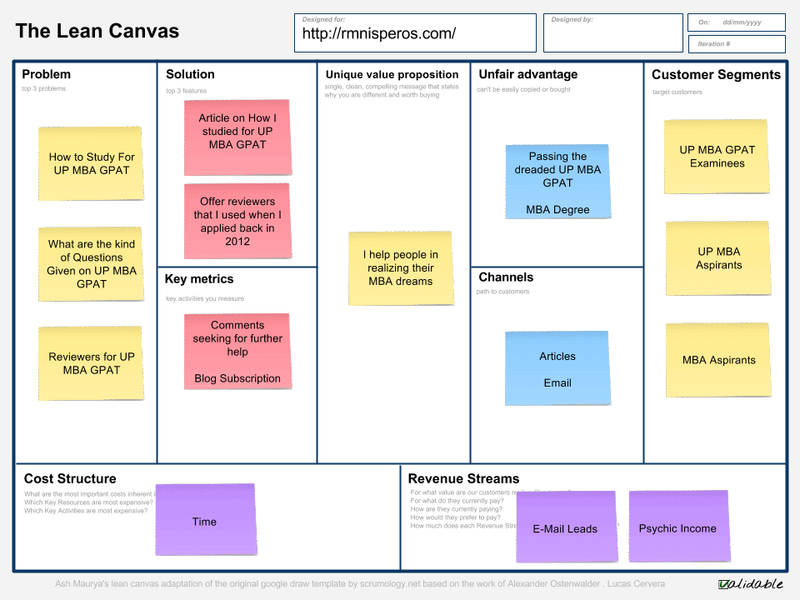 While the Lean Startup has become the bible of the tech startup movement, its philosophy is based on actionable tool called the Lean Canvas— a tool developed Ash Maurya and adopted from the Business Model Canvas authored by entrepreneur Alexander Osterwalder and Swiss academic Yves Pigneur. Does The Lean Principle Apply to Bloggers? When I entered the blogging world through my personal blog rmnisperos.com, I struggled to gain traction. (See my crappy initial posts) According to tonyocruz.com, the Philippines is fourth in terms of writing blogs worldwide! 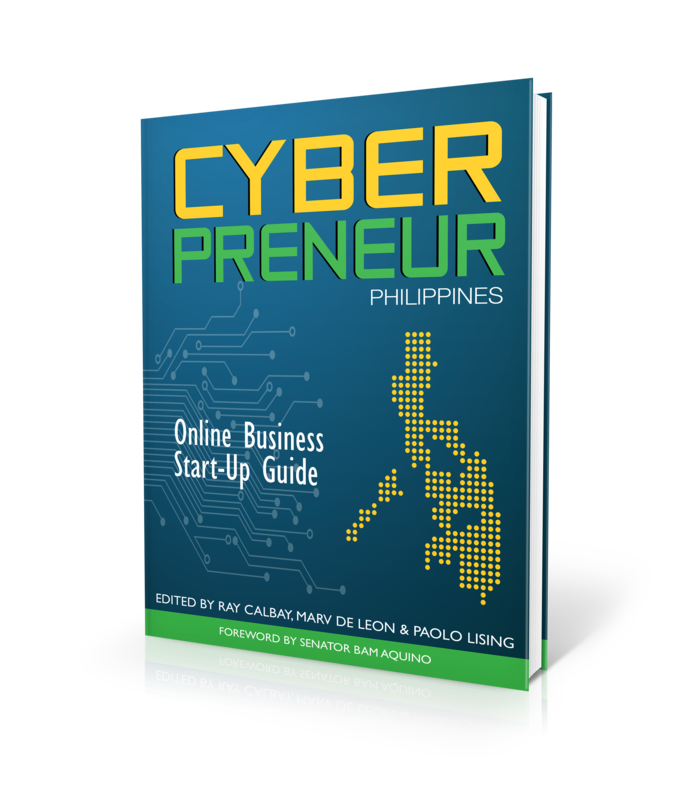 And that’s just in the Philippines, what more if worldwide blogs are added to the blogging competition. You guessed it right, I had experienced blogging nightmares. Yes. It is that hard to gain traction even in your own country. There are lots of good bloggers to compete with. Launching a new blog, whether it’s a niche or general is a hit-or-miss proposition. Based on my experience and every other aspiring blogger would attest, bloggers write articles they love, promote it to social media, and expect a viral effect. Somewhere along the process, bloggers suffer a painful realization. No one reads what they wrote. No one care what bloggers like. Readers care about their problems and what they like. However, by thinking blogs as a business, it doesn’t mean instant success. The odds are not with us. According to ISSI, every 9 out of 10 business fail. I can arguably infer that 9 out of 10 blogs fail. The blogs that fail have 50% of its page views coming from their authors themselves. Lean Startup framework can be applied to blogging to minimize risks from failure. This is what I call the Lean Blogging. It is an approach to creating articles and managing blogs that are reader focused. Lean blogging favors experimentation that validates/invalidates blog assumptions, customer feedback over intuition, making happy readers by solving their problems. First, you’ll be blogging in a different perspective after reading the rest of the article. Your blog will gain traction you always wanted. Let me show you the framework I developed for Lean Blogging. 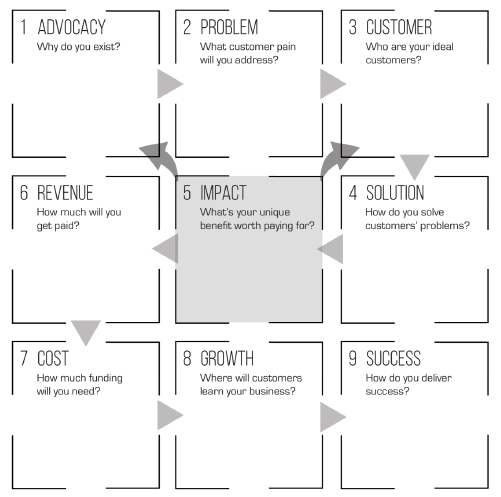 From the Feedback Loop of the Lean Start-up, I adopted a similar framework built especially for blogs. 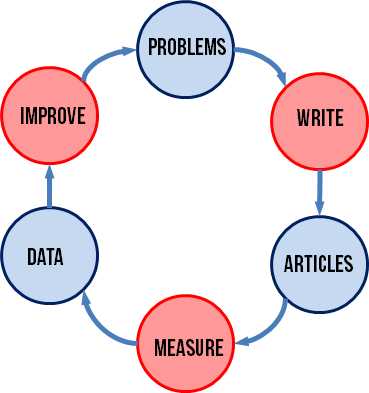 The Lean Blogging Feedback Loop starts with a problem and an action to write for it. The result is an article containing solutions for the problem identified. Of course, the article shouldn’t sound like a question and answer dialogue (this is where your writing skills kick in). A minimum viable article is then promoted to social media and other channels to see if there is a need. Along with the promotion, the author measures the performance of the article. The resulting data is then studied to find opportunities for improvement. Improve the final article and launch. Rise and repeat. You can also search for new problems to be solved based on the results of original minimum viable article. First, I started looking at my existing data. I looked at my google analytics for opportunities that I can leverage on. Lucky enough, I hit jackpot. I found that out of all queries on my website, most are from UP MBA. Now, I have the opportunities for improvement. Next thing I did was to pick problems that from the clues I had from the data. Once I picked the best problems I think I have the greatest chances with, I plotted them in the Lean Blogging Canvas. 1. The solution I had for the problems is to create an article on how to studied to pass the UP MBA GPAT. I also hinted on giving away copies of the reviewers I used back in 2012. 2. I chose comments (with the intent to seek help) as my main metric since I thought that reader engagement is achieved through this way. I consider everything as vanity metrics. Since my intention is to help them succeed, personally contacting them through e-mail is the way to go. I also made sure that I made them blog subscribers for future campaigns. 3. Most bloggers wouldn’t have an unfair advantage. For my case, I was lucky enough to use my successful experience in the UP MBA program. 4. I went to reader segments that are niche enough. My early adopters are UP MBA Examinees which are around 2,000 individuals per year with MBA aspirants as secondary segments (not sure on the amount). I wrote an article about studying for UP MBA GPAT with an offer to send reviewers I used when I passed the exam. I briefly promoted it through my Facebook Page, LinkedIn account, Twitter and Google plus. I buffered the post for 2 days. The GPAT Sample Question article had only 16 comments for 2 years. After Lean Blogging, the article gained 71 comments in just one month! The GPAT Study Guide article (through Lean Blogging), gained 11 comments in just one month considering I never entered it in comment exchanges. After Lean Blogging Experiement I helped 110 People. Though I didn’t earn anything from it, I am delighted that I helped people – good deeds of helping other realize their dreams of entering the MBA Program. Use Lean Blogging as a way to experiment on problems to be solved through blog articles and content in general. The focus is on customers. Bloggers can either spot their needs through website data (google analytics) or simply talking or asking readers. Re-market unpopular articles for different problems. Just what I was looking for. Thanks for the info, you made it easy to understand.